Successful organizations must balance both internal and external communications to inform, persuade and educate their customers about products and services, especially in times of crisis. Two veteran communicators will share their experience in building a solid foundation as well as gathering essential tools to employ when confronting a crisis situation. Please plan to participate to protect your brand and enhance your abilities. This A Webinar was geared toward Communications and Marketing Professionals - Internal and External Crisis Communications. 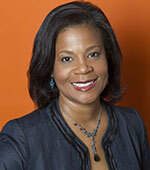 Lisa Thompson is the Director of Communications for the Southeast Division of the HNTB Corporation. She is a skilled communicator with over 20 years of experience and a proven ability to develop successful communications, media, marketing and legislative strategies covering a diverse range of issues. Lisa possesses strong interpersonal skills intermixed with equally strong analytical abilities and has a record of building consensus among divergent groups and organizations for the passage and implementation of agendas. Lisa previously served as the National Public Affairs Manager for Jacobs Engineering and Director of Communications and Marketing at the Georgia State Road and Tollway Authority. Lisa is the currently a Vice-chair of the IBTTA Communications and Marketing Committee and has also served on the Communication Committee for ITS America. Gloria Dittus is the chairman of Story Partners, a leading strategic communications firm headquartered in Washington, D.C. Story Partners combines executive thought leadership, digital marketing and tactical communications plans across corporate enterprises to deliver results to clients. Gloria is a trusted counselor to CEOs, senators, members of Congress, Cabinet secretaries and leading business executives – providing corporate positioning and messaging advice. Gloria founded Story Partners in 2010 following the successful acquisition of Dittus Communications. After a decade of growth, Dittus Communications sold in 2005 to Financial Dynamics, where she became a member of the seven-person executive ownership team which led major client engagements for top technology, energy and transportation companies. In 2007, FTI Consulting acquired Financial Dynamics for $340 million, the largest recorded transaction of a public relations firm. Read more. Cherie Gibson is a nationally recognized public relations and communications firm known for its expertise in human-powered change through social marketing, public involvement, and community building practices in Seattle, Washington. PRR has specialized in transportation marketing, communications and media relations. Projects include the DC Streetcar, Elizabeth River Crossings (VA) and 405 outside of Seattle. 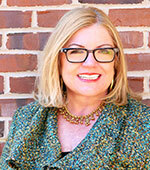 Cherie has worked with the State Road and Tollway Authority (GA), ITS America and the North Carolina DOT. Read More. Please join us for this educational, insightful and stimulating webinar.